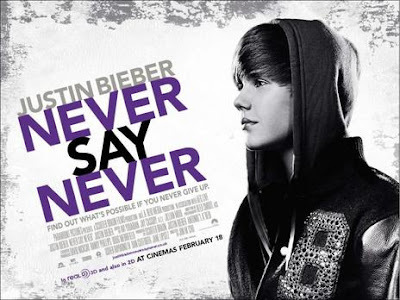 In case you couldn't tell from the talk-show appearances and the TV spots, from the billboards and bus ads, from the ceaseless chatter on Twitter, Justin Bieber's "Never Say Never" has finally arrived in theaters after a seemingly endless promotional push that left no channel or digital sphere Bieber Fever-free. And in case you weren't sure, most everyone who's already seen it seems to agree: The movie is pretty dang good. And that's coming from critics and reporters who don't likely hum "One Less Lonely Girl" in the shower. Whether you're begging your parents for — or are being begged by your kids about — a trip to the multiplex this weekend, check out what reviewers are saying about "Never Say Never."